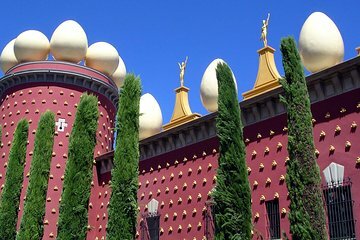 Follow in the footsteps of innovative artist Salvador Dali during a full-day trip to the Dali Theatre-Museum in Figueres from Barcelona. Enter the magnificent mind of Dali when you step foot inside the renowned museum, conceived and curated by Dali himself. Immerse yourself in the aesthetic eccentricity of his paintings and sculptures and gain further insight into the artist’s life and works from an accomplished guide. Enjoy the convenience of round-trip transportation by high-speed train and upgrade to include a stop in the provincial town of Girona. High-speed train transfers and hotel pickup means you save time over traveling independently. Salga temprano y salga de su hotel en el centro de Barcelona en un cómodo eco-taxi. Llegue a la estación y luego suba a bordo de un tren de alta velocidad a Figueres; admire el paisaje durante su breve viaje y luego viaje en una minivan con aire acondicionado hasta el lugar del fascinante museo. Sumérjase en la variada colección de obras de Salvador Dalí, que recorre pinturas y esculturas que conforman la mayor variedad de sus obras en el mundo. Escuche mientras su guía ilumina la amplia gama de trabajos y luego sumérjase en una instalación de sala de estar tridimensional. Estimule sus sentidos con un arte holográfico alucinante y deléitese con una colección de joyas diseñadas por el mismo Dalí. Observe el lugar de descanso final de Dali en una cripta debajo del escenario y visite un antiguo teatro para admirar la cúpula geodésica de vidrio que corona el escenario. Después de su enriquecedora experiencia, regrese a la estación y relájese durante el viaje en tren de regreso a la bulliciosa Barcelona. Alternativamente, si se ha actualizado, desembarque en Girona para explorar la miríada medieval de impresionantes monumentos y calles enredadas. Sea testigo de la influencia que diversas culturas y religiones han tenido en la arquitectura de la ciudad de 2.000 años de antigüedad y deléitese con la colorida variedad de edificios que decoran las orillas del río Onyar. Regrese al tren para el viaje restante al centro de Barcelona, donde concluye el recorrido. Magnífico tour, la guia muy conocedora de la obra de Dali y de la ciudad de Girona que resultó un destino increíble. Jessica our tour guide was spectacular! Loved the Dali exhibit and the walking tour of Girona. Highly recommend both. From start to finish, this tour was perfection. We were met at the hotel at precisely the time given to us by the tour company. They took us to the train station in which someone was waiting for us when the ride dropped us off. They gave us the tickets to the train and made sure we boarded it correctly. The tour guide introduced herself on the train and guided us step by step. Because this was not a bus tour, the number of people was smaller. We had only ten. The tour guide gave us a thorough tour of the museum and they gave us free time to further explore. We signed up for the Girona tour as well. The others on our tour only stayed for the museum part. So we basically had only my wife and I on that tour. The tour guide was very informative, friendly, easy to talk to, and personable and we thought out of our time in Barcelona, this was the highlight of our trip. Our guide who was great was named Jessica Casanovas. I would highly recommend her. This trip was worth the .  The company is very well organized and the people are very friendly. We originally booked the tour with the Optional Girona tour, but once the day arrived we decided it might be best to skip the second part and head back to Barcelona to get ready for our flight back the next morning. Jessica, our guide, was amazing at getting our tickets changed for the train so we could go directly back to Barcelona. She also was very knowledgable about Dali and the surrounding area. She made the tour of the museum and the area memorable and worth the trip. I didn't really know anything about Dali before this trip, but now I am a fan. The high speed train was also a neat experience and glad we made the trip. Again, I can't say enough good things about this company and their organizational skills and also about Jessica. Her help was greatly appreciated and made two teenagers very happy!!! This was far and away the best tour I have ever been on. Dali is such a complicated and amazing individual. The tour guide Jessica had such passion and really gave proper context to his works. It was so good, I would go back. We were picked up promptly at our Hotel and guided to the fast train, from Barcelona to Figueres, where we were met by our incredibly knowledgeable guide Laura. Dali was a complex genius and Laura made him come to life with her explanations of all we saw. Then on to Girona, a beautiful town With Game of Throne locations as an extra. This is a tour not to be missed! This day trip on the high-speed train from Barcelona was a highlight of our trip. Everything was so well organized, with pick up from our hoteland getting us to the train station. Our guide, Jessica, was knowledgeable, friendly and delightful -- a real superstar of guides. The Dali Museum was out-of-this-world, with our guide filling us in on so many stories about Dali and Gala. We also did the optional Girona tour and were amazed by all of the history contained in this ancient walled city -- as well as recognizing many locations used to film key scenes in Game of Thrones. This was such a wonderful contrast to the hustle and bustle of Barcelona. I would highly recommend making time for this tour. World class tour: efficient transport and excellent guide, Jessica, in Figueres and Girona legs. The Dali Museum is mind-blowing and Girona is a beautiful and special city. This is definitely the best way to experience in so much in one day. Great full day. Dali museum was fantastic. Girona extension was wonderful as well. Guide was knowledgeable and well informed. Highly recommend. This was a truly amazing day. 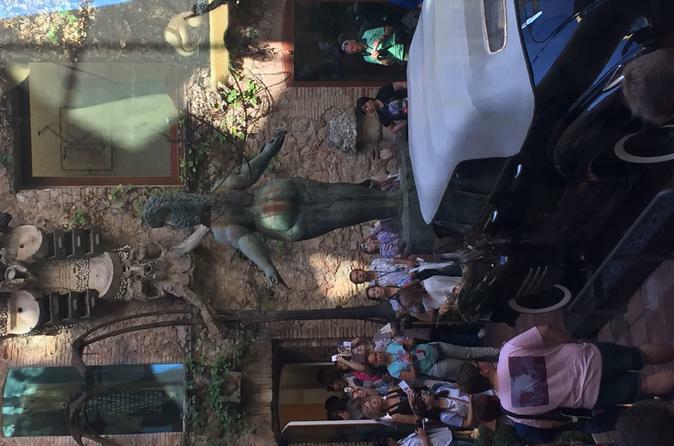 A taxi picked us up from our hotel, and took us to the railroad station in Barcelona were we were met by a guide who presented us with access to the one hour high speed train to spend a wonderful few hours at the Dali Museum. Our guide at the Dali Museum was a wonderful speaker and very knowledgeable about Dali's life. We were given a full lecture of the inspiration and the symbolism of Dali's work for about an hour and a half, at which time we had an additional half hour to explore the museum on our own. Dali picked a theater that had suffered a very bad fire in the late 1800's , install his works. Truly a very interesting museum in itself. Whether you enjoy Dali's work or not, for any art lover, this is a place you should visit. The gift shop is wonderful too.